1.1 These terms and conditions apply to all offers, orders and agreements of Mr.Domino and DominoWebshop.com, here after Mr.Domino. 1.2 The acceptance of an offer or the placing of an order means that you accept the applicability of these terms. 1.3 The provisions in these Conditions may be waived only in writing, in which case the other provisions remain in full force. 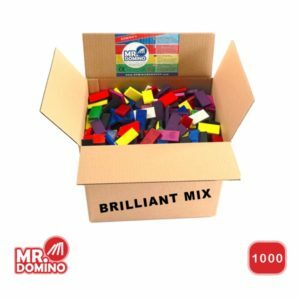 1.4 All rights and claims, as made in these Conditions and any further agreements for Mr.Domino, are also stipulated for intermediaries and other third parties enabled by Mr.Domino. 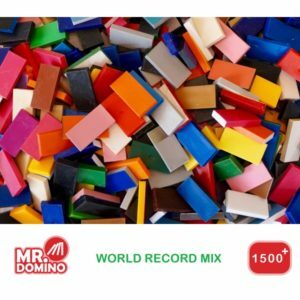 1.5 Mr.Domino is holder under name of and legal trademark of DominoWebshop.com, Chamber of Commerce no. 67837336. 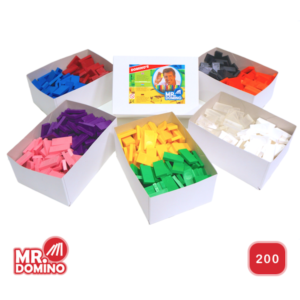 2.1 All offers of Mr.Domino are without conditions and restrictions and Mr.Domino emphasizes it reserves the right to change prices, particularly when this is necessary because of (legal) requirements. 2.2 An agreement is only concluded after acceptance of your order by Mr.Domino. Mr.Domino is entitled to refuse orders or apply certain conditions to the delivery, unless specifically stated otherwise. If an order is not accepted, Mr.Domino will make this known within 10 (ten) business days after receipt of the order and make refunds if applicable. 3.1 The prices mentioned for the products and services are in Euro, including VAT and excluding delivery and handling, taxes or other charges unless otherwise specified or agreed in writing. 3.2 Payment may be done via the following payment options: iDeal, Credit Card, SOFORT Banking, Bancontact/Mister Cash and Bank transfer. All payments go via Payment Gateway Mollie, who supplies secure payment transactions. 3.3 If you fail to meet the agreed payments, Mr.Domino is entitled to suspend, or dissolve the (implementation of the) agreement and related agreements. 3.4 If the prices of the products and services increase in the period between the order and its implementation, you are entitled to cancel the order or to dissolve the agreement within 10 (ten) days after the notice of the price increase has been given by Mr.Domino. 4.1 The delivery times Mr.Domino has mentioned are merely indicative. Exceeding the delivery times does not give you any right to compensation nor the right to cancel your order or dissolve the agreement, unless the delay in the delivery is more than 30 business days, in case you cannot reasonably be expected to maintain the agreement. In that case you are entitled to cancel the order or to dissolve the agreement should that be necessary. 4.2 The delivery of the products will occur in the place and at the time when the products are ready for shipment to you. 5.1 The ownership of the delivered products is not transferred until you have met all the obligations to Mr.Domino as associated with any agreement. The risk of the products is already transferred to you at the time of delivery. 6.1 You must fully and unconditionally respect all intellectual and industrial property rights attached to the products Mr.Domino has delivered. 7.1 You have the obligation to examine whether or not the products meet the terms of the agreement at delivery. If this is not the case, you must inform Mr.Domino – with motivation and in writing or by email- as soon as possible and in any event within 7 (seven) business days after delivery, at least after the finding was reasonably possible. For consumers, a period of 14 (fourteen) days applies. 7.2 If proof has been given that the products do not meet the terms of the agreement, Mr.Domino can choose to either replace the products by new products or refund the value of the invoice. 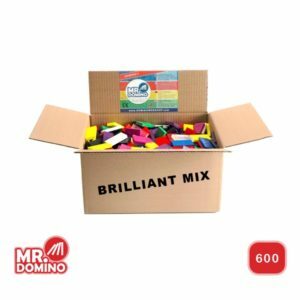 7.3 If for whatever reason you do not wish to purchase a product, you – as an individual – have the right to return the product to Mr. Domino within 7 (seven) business days after delivery. For consumers, a period of 14 (fourteen) days applies. In this case return delivery can only be accepted if the packaging of the product is undamaged and the product is in its original state. In addition, the costs for the return delivery are your responsibility. 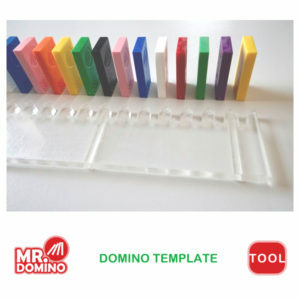 8.1 If Mr.Domino delivers the products to the customer, Mr. Domino can never be held to a guarantee if Mr. Domino cannot claim the guarantee with its suppliers. The warranty will always be limited to the maximum product value clearly indicated on the invoice. Reclamations due to observable defects must, as specified in the conditions of the agreement but no later than 7 (seven) days after receipt of the products, be made in writing. For consumers, a period of 14 (fourteen) days applies. Reclamations Mr.Domino receives after this period, do not have to be processed by Mr.Domino. 9.1 For orders or announcements that are misunderstood, mutilated, delayed or otherwise not received properly because of the use of the internet or other means of communication between you and Mr. Domino or between Mr.Domino and third parties, insofar as it relates to the relationship between you and Mr.Domino, Mr.Domino is not liable, unless Mr.Domino is guilty of intent or gross negligence. 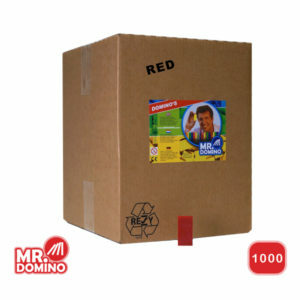 10.1 Without prejudice to the other rights Mr. Domino has, in case of force majeure, the right to choose to suspend or terminate the execution of your order or dissolve the agreement without judicial intervention by giving you notice in writing and without being obliged to give any form of compensation, unless this in the circumstances, to standards of reasonableness and fairness would be unacceptable. 10.2 Force majeure shall mean any shortcoming Mr.Domino is not accountable for, because Mr.Domino is not to blame and cannot be held responsible according to law, jurisdiction or common views. 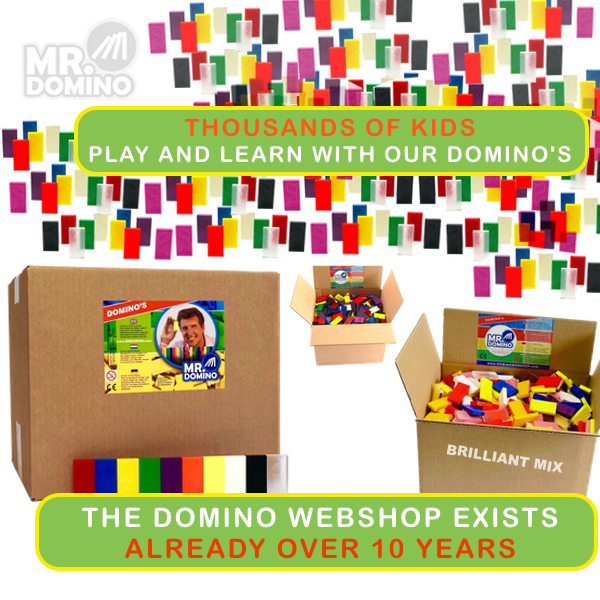 11.1 If you – in writing – provide Mr.Domino with an address, Mr.Domino is entitled to send all orders to that address, unless you provide Mr.Domino with another address to which you orders need to be delivered. The shipping address is decisive for the value added tax regulations of the European Union. 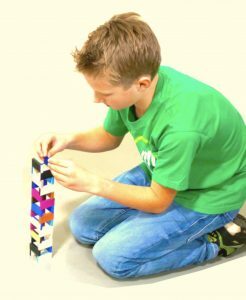 11.2 When Mr.Domino for a short or longer time – whether or not silently – allows deviations from these conditions, it does not diminish the right of Mr. Domino to demand immediate and strict compliance with these Conditions. You can never derive any rights on the grounds that Mr.Domino applies these Conditions smoothly. 11.3 If one or more of the provisions of these Conditions or any other agreement with Mr.Domino is in conflict with any applicable legal provision, the provision concerning shall be deleted and Mr.Domino will replace it with a new provision that is legally permissible. 11.4 Mr.Domino is entitled to use third parties for the execution of your order(s). 12.1 To all rights, obligations, offers, orders and agreements to which these Conditions apply, and to these conditions, only Dutch law applies. 12.2 All disputes between parties will be submitted to therefore appointed court in the Netherlands.